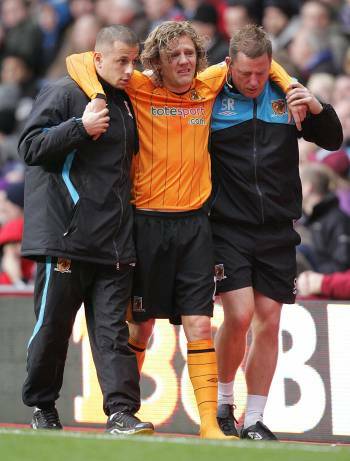 Fantastic news for the Hull City faithful and for fans of affable midfielders everywhere, Jimmy Bullard made a goal-scoring return for Hull Reserves last night. The injury-plagued midfielder scored the opener in his side’s 3-0 win over Wigan’s second string with a wonderful volleyed freekick, before being taken off around the hour mark as a precautionary measure. Bullard has not featured for Hull since suffering knee ligament damage on December 5th, but it is now expected that he will be fit enough for a place on the bench for The Tiger’s trip to Everton on March 7th. Welcome back Jimmy, we’ve missed you.